Dr. Andrus is board certified in physical medicine and rehabilitation and specializes in the diagnosis and non-surgical treatment of musculoskeletal conditions. Dr. Andrus is co-director of the Westmed Spine Center and has extensive training in spinal injection techniques, including epidural injections, facet joint injections, sacroiliac injections and radio frequency ablation. He was awarded his medical degree from New York Medical College, followed by completion of his residency in physical medicine and rehabilitation at New York Presbyterian Hospital/Weill Cornell Medical Center. He received musculoskeletal/sports medicine training during his residency at the affiliated Hospital for Special Surgery. He then completed a fellowship in spine and sports medicine at Kessler Institute for Rehabilitation in New Jersey. 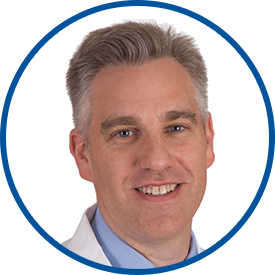 Before coming to Westmed Medical Group, Dr. Andrus was in practice with Continuum Orthopedics and Sports Medicine, affiliated with Beth Israel Medical Center. Never a bad experience. Always right on target. *Dr. Andrus is one of the best doctors at Westmed. He is caring and compassionate. I go to him for spinal epidurals. I have complete confidence in him. Dr.Andrus is an amazing doctor. He spent a lot of time talking to me about my health concerns and even have me options to deal with my current situation. He explained everything in detail and overall did improve the way I was feeling. I recommend everyone I know to come see him if they are experiencing pain. He is fantastic. Dr Andrus is a great doctor who listen and works with you for the best possible treatment. He is caring and easy to talk with and I highly recommend him and have. Spent a lot of time with me to try and understand my problems. I have been going to see this provider for several years now (4) and I do believe that I should have started with a a different specialist in this group as my provider does not do certain things whereas others have more specialties in my area. Dr. Andrus has always been helpful with my needs, he took the time to call me at home to discuss which does not go unnoticed by me! Dr Andrus is a great doctor who takes time with you to answer all my questions and helps guild me thru all my concerns.